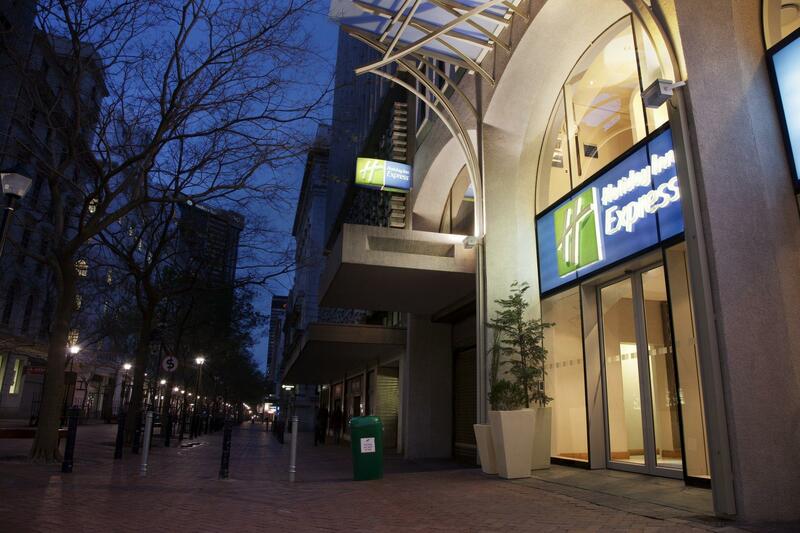 ﻿ Holiday Inn Express Cape Town City Centre Cape Town. JIMAT di Agoda.com! Hotel di pusat Cape Town ini menawarkan pemandangan Table Mountain yang indah, terletak hanya 1 km jauhnya. Ia mempunyai perkhidmatan ulang-alik lapangan terbang, kaunter penyambut tetamu 24 jam dan bilik-bilik moden yang berhawa dingin. Bilik-bilik tetamu di Holiday Inn Express Cape Town City Centre dihias dengan warna-warna hangat. Bilik-bilik ini dilengkapi dengan TV kabel, alat untuk membuat teh/kopi dan bilik mandi peribadi. Para tetamu boleh menikmati bufet sarapan pagi mewah di dalam Great Room, yang mempunyai pemandangan bandaraya yang indah. Express Cape Town ini juga menawarkan sebuah bar kasual yang menghidangkan minuman yang menyegarkan dan snek ringan. Lapangan Terbang Antarabangsa Cape Town berjarak 15 minit pemanduan dari Cape Town Express. 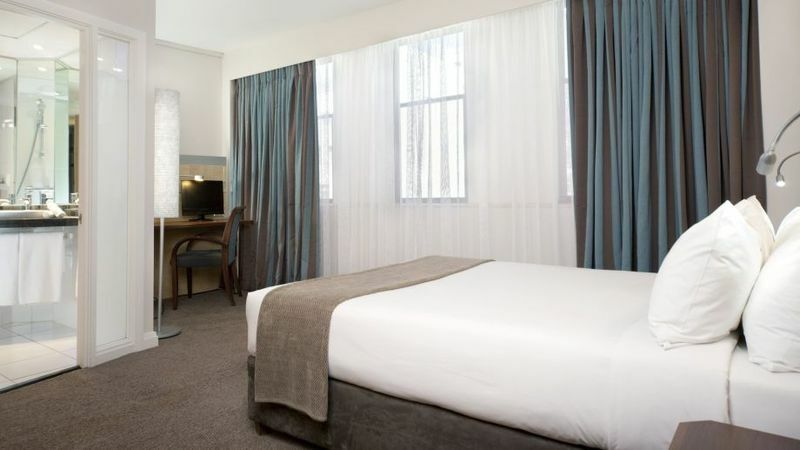 Hotel ini juga berjarak 3 minit berjalan kaki dari Company Gardens dan 2 km dari V&A Waterfront. Guests receive 100 MB of free WiFi per device, per day. Over and above all we expected. Clean building. Good food. Friendly staff. Ms Sofitene Fisher made us feel like family. We would have recommended this hotel if not for the location. It is in the shady part of Cape Town. However, the staff and breakfast selection made up for it. a must for tourist, better than expected. not noisy vs other reviews. nothing negative, and credit goes to the staff for their kind services and smiles. this was really an excellent choice from all angles; in city center, rooms are clean, excellent service from the staff, breakfast was decent. much better than anticipated. Good location, good facilities, good environment. Comfortable. Nice location n good value for business travellers. if book taxi from hotel, need to make sure they actually told the driver to come. Esp when arriving at the airport. Convenient location with easy access to MyCiTi bus stops. Frontdesk staffs are friendly and willing to help The breakfast variety is quite limited. On sundays after early noon, it's not quite safe to walk around the area. Sorry to say that my PRIORITY CLUB REWARD MEMBERSHIP was not accepted and no points credited because booked via a third party! We had a nice stay at this hotel. When the better room was available, we were upgraded free of charge. The room is clean, standard room not very spacious but the family room is. The receptionists are all very nice and smiling. I had the feeling that for this price we could not have made a better choice. Breakfast is excellent. 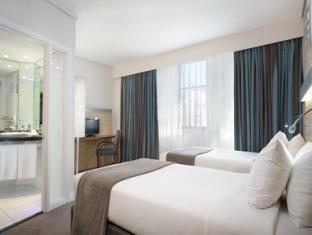 I always stay in this hotel when visiting Cape Town - if there is availability. The only disadvantage is the lack of parking. Good Location and easy to have resturant and shopping. Just 20minutes walk can arrive Waterfront. For the room, it has nice bed. But room seems little bit small and only have free wifi severice. It wl be good if hotel can provide all day free wifi as I turst most of the customer stay in this hotel wl be for business. next to my room ceiling was leaking 3 days. towels protecting the floor started smelling. i called them each day to get them changed otherwise nobody would take care of anything. had to cart all my luggage myself to 1st floor. could have got pickpocketed - where was the concierge. same thing on departure except taxi guy helped me as he was really nice. internet is only free for 30 mb, which seemed to last about 15 minutes, not making any internet calls or anything... room was small (although functional and ok view). room was nicely decorated. service was friendly just not very efficient. it was possibly the worst deal i have ever made in south africa, then again it was new year and it was practically only viable choice. We have to ask where the hotel was as it is not visible from the main roads. The access to the hotel was not easy as it is located in the middle of a block. The one lane to the hotel has room for only one car to pass. The hotel itself is clean and the staff are all very friendly. The hotel room has no cupboards and the hangar space is not enough for a family. No drawers. 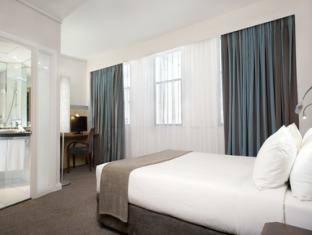 We feel that the hotel is suitable for light travellers staying for short periods.